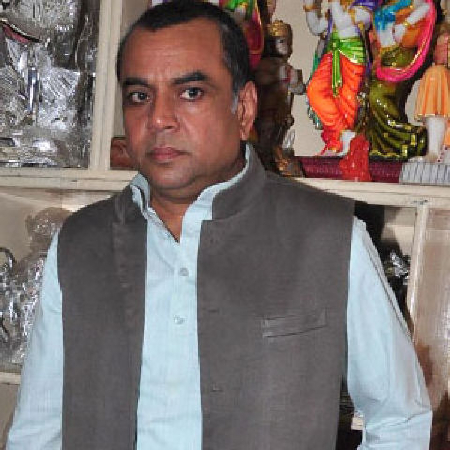 Paresh Rawal (born 30 May 1950) is an Indian Hindi film actor of Gujarati background.He made his debut in the film industry in 1984 played supporting and villain roles throughout the 1980s and 1990s. Since 2000, he has started playing comic roles and has succeeded in it. Rawal made his debut with the 1984 film Holi in a bit role but it was in the 1986 blockbuster Naam which established him as an actor. He then appeared in over 100 films throughout the 1980s and 1990s. 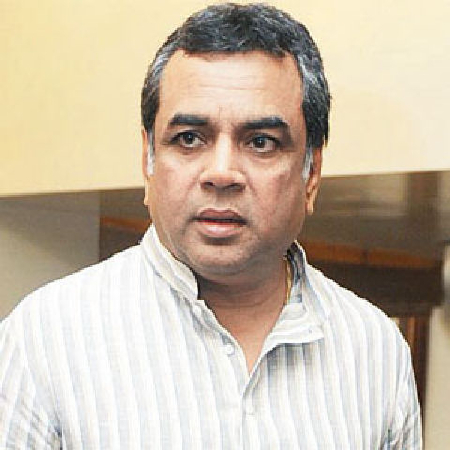 Paresh Rawal's biggest hit was Hera Pheri. Before he attained national recognition, in 1991 Rawal achieved recognition and adulation for his role of a bank robber in Kshana Kshanam. His quirky accent and mannerisms made him an instant hit. He acted in quite a few Telugu films by the RGV school of direction like Money and Govinda Govinda. In 1994, he won the National Film Award for Best Supporting Actor for his performances in the films Woh Chokri and Sir This was followed by Ketan Mehta's Sardar, which saw him playing the lead role of freedom fighter Vallabhbhai Patel, a role that got him national and international acclaim.He followed it with the film Tamanna (1996), in which he played the role of a hijra (person of "third" gender, typically male transgender) who raises an orphaned girl, played by Pooja Bhatt. 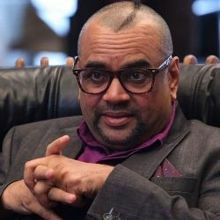 In 2000, Rawal played a dim-witted, boisterous, and kind-hearted Marathi landlord Baburao Ganpatrao Apte in the film Hera Pheri, who takes in Raju (Akshay Kumar) and Shyam (Sunil Shetty) as paying guests in his house. Rawal's acting was a key reason for the major nationwide success the film received .For his performance, he won the Filmfare Best Comedian Award. Apart from doing comedy roles he played negative roles in King Uncle, Kabzaa, Ram Lakhan, Daud, Baazi etc. He reprised his role as Baburao in the sequel to the film, Phir Hera Pheri (2006), which was also successful. In 2002, Rawal portrayed one of three blind bank robbers in the hit film Aankhen. 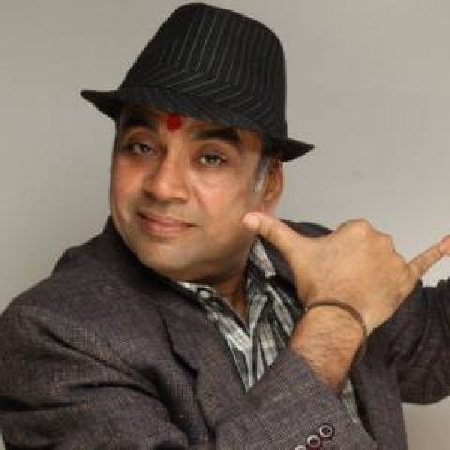 Rawal has since played many comedy roles in successful films including Awara Paagal Deewana (2002), Garam Masala (2005), Deewane Huye Paagal (2005), Golmaal: Fun Unlimited (2006), Hulchul (2004), Chup Chup Ke (2006), Bhagam Bhag (2006), Shankar Dada MBBS, Bhool Bhulaiyaa, Welcome, , Rawal acted in the movie Aakrosh based on honour killing In 2012 Paresh Rawal played the lead role in the wonderful movie Oh My God along with Akshay Kumar. . The latest hit being "Dear Father" (Gujarati). 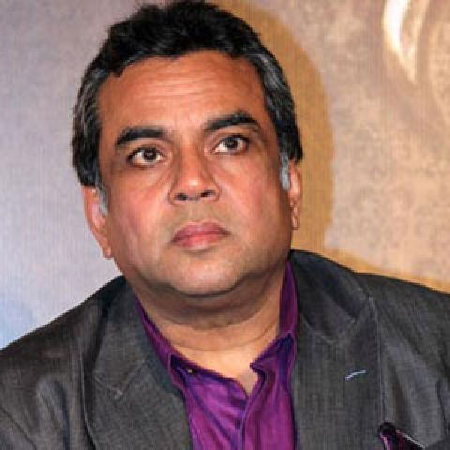 Paresh Rawal has produced several Hindi soaps including Zee TV's Teen Bahuraaniyaan, Sahara One's Main Aisi Kyunn Hoon and Colors' Laagi Tujhse Lagan. 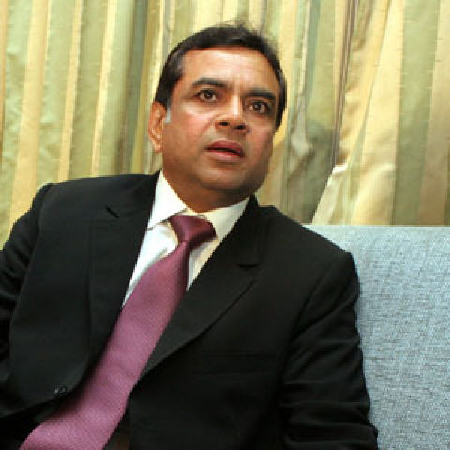 Why Book Paresh Rawal Through ArtiseBooking?